Lung examination. 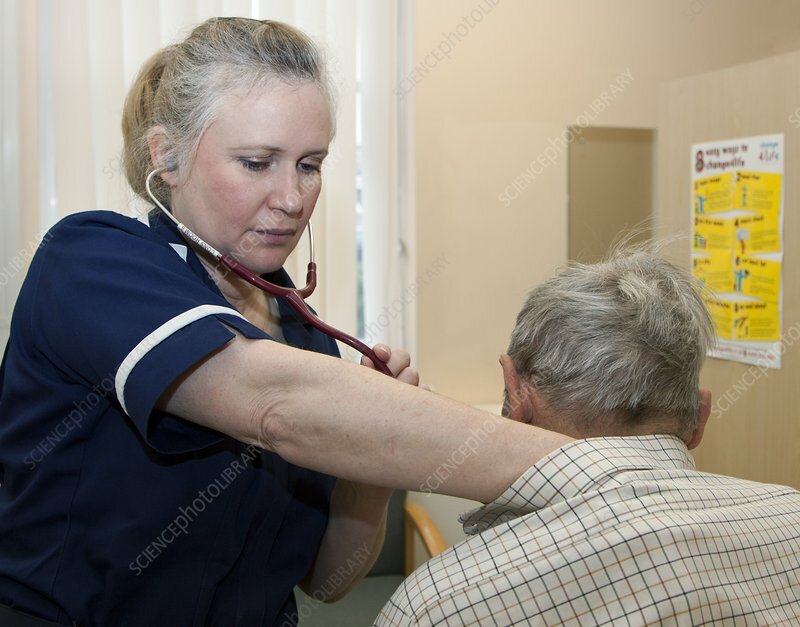 Nurse using a stethoscope to listen to an elderly patient's breathing. He has chronic obstructive pulmonary disease (COPD). COPD is a combination of chronic bronchitis and emphysema, usually due to heavy smoking.